Currently a Managing Partner with Geode Consulting, Kinga Evans drives the strategy and growth of many of her middle market clients in financial services, retail and technology industries. Often engaged as fractional COO, Kinga has specialized expertise in finance, sales, marketing, customer success and operations. 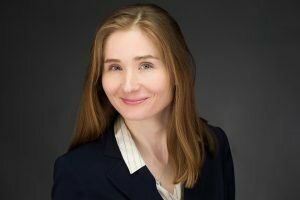 Her unique ability to gather insights and empower collaboration can rapidly bring value to any organization. Her vast experience spans Fortune 100 financial services companies, some of the fastest growing private companies in America, and her own ventures in real estate and property management. One of Connecticut Magazine’s and Hartford Business Journal’s “40 under Forty,” Kinga serves on boards of directors of growing technology companies. She is excited to mentor, guest speak and consult with passionate business founders.